Retail is evolving before our eyes, and all you have to do is take notice. Take LG SIGNATURE’s recent partnership with Bloomingdale’s. The Korean electronics brand is showcasing its smart-home appliances at Bloomingdale’s 59th Street in New York. Why the fuss? 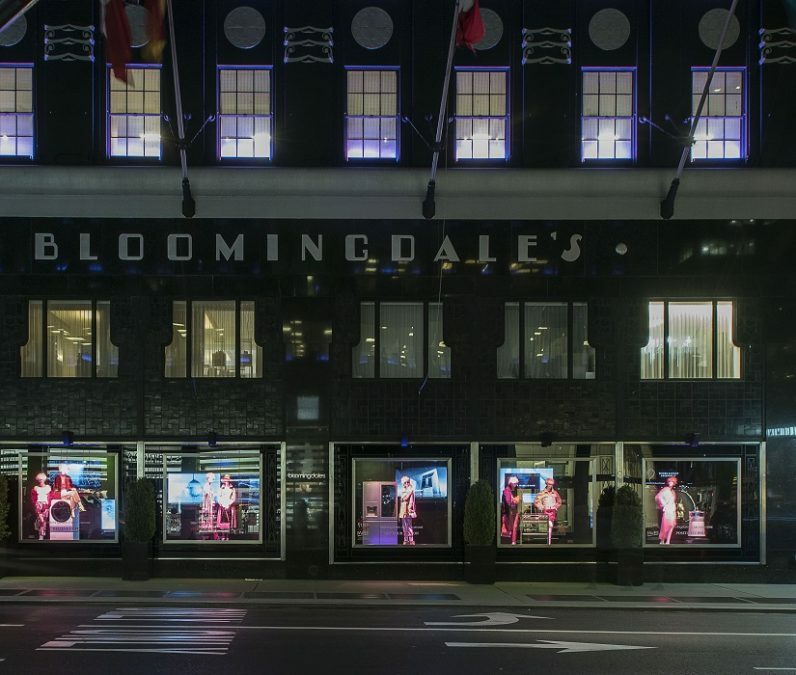 Because Bloomingdale’s iconic window displays are traditionally recognized for clothing and fashion-forward trends. When you visit the 59th Street location, you can see LG SIGNATURE’S products in person unlike the virtual experience that you get on Amazon, and other online retailers. The industry needs to find solutions in changing times. Retail traffic is down across America, forcing shops to become smarter about user engagement, conversion rate and visit duration — key metrics that online merchants have long used to their advantage to the detriment of brick-and-mortar stores. In May last year, retail traffic was down 9.9 percent, according to RetailNext. Clearly, on-site traffic is crucial for a department store’s survival. Enter experimentation in retail practices such as interactive displays, brand partnerships, live music, quirky on-site offerings such as spa services and other concoctions to get people to walk through the doors. Once people are inside, stores can leverage customer analytics to figure out what touchpoints drive people’s interest and where they spend their time and money. Stores need to track eyeballs, too. LG SIGNATURE, in particular, thinks it’s a wise gambit to associate its brand with luxury design and fashion. This summer, the New Jersey-based subsidiary partnered with upscale designer Jonathan Adler to present its high-end electronics in a premium setting at store and mall locations across the country. With brands, it’s not just about the product; it’s also about the lifestyle and culture that the brand represents. The designer partnership gives potential LG SIGNATURE customers the ability to (1) imagine a luxurious experience and lifestyle and (2) see how the products actually work on-site. LG SIGNATURE has also partnered with Lord & Taylor to showcase its products at the Fifth Avenue flagship store, a landmarked building in New York. Engaging activity in-stores is a growing trend as a countermeasure to Amazon’s exclusively digital experience. Through unique in-store offerings, retailers can improve user engagement, and perhaps conversions, by capturing shoppers’ attention. “We’re dedicated to providing the luxury-seeking consumer with products that fit their lifestyle, and we want to be in the stores where they are seeking out sophisticated, premium products,” said David VanderWaal, vice president of marketing for LG Electronics USA. A mash-up of electronics and fashion may not seem like a huge deal, but with the competitive pressure exerted by online merchants, brick-and-mortar retailers are seeking ways to get reach target consumers and offer their products in more convenient, premium and interesting ways. No traffic; no sales. Lower conversions; higher enterprise risk. Think Radio Shack, Borders, Kmart and Toys R Us. The passivity of retail selling based on geographic proximity alone has become a death knell. Online shopping can take place anytime, anywhere. A Chinese supplier can sell directly to an American consumer and undercut a competitor’s price. But it’s harder to sell a product online to a consumer if they have already driven to the mall and are walking around in department stores. Thus, in-store traffic is a preemptive move that can prevent Amazon from getting market share. Nowadays, retailers must find ways to make people spend less time on their laptops buying online. And if that means giving free ice cream or free lemonade at storefronts, then that’s just part of the cost of doing business in the age of Amazon. Succeeding in the face of Amazon’s dominance might require a game plan straight out of Sun Tzu’s “The Art of War.” Forty-three (43) percent of all online commerce now pass through Amazon, and of every $2 spent online, nearly $1 is spent on Jeff Bezos’s site. But military strategists have long argued that the way to defeat strength is by way of agility and speed. In retail, that’s perhaps the winning game plan.